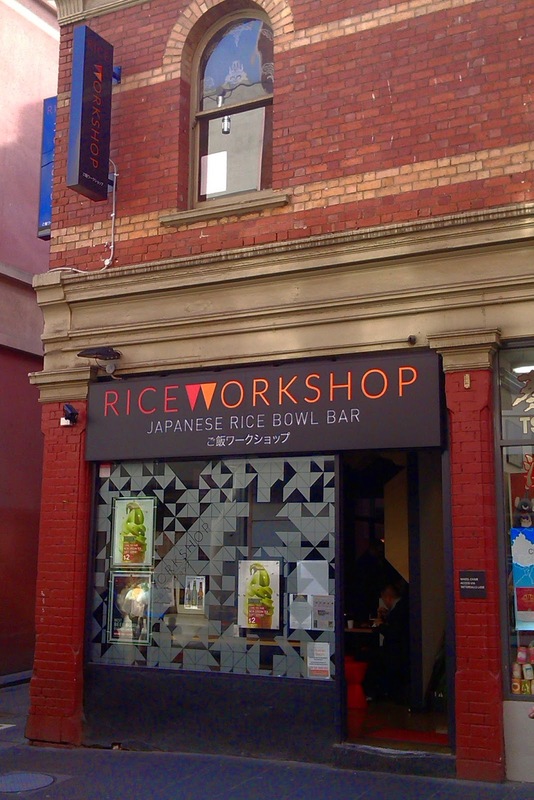 On the corner of Little Bourke and Tattersalls Lane, Rice Workshop has a modern geometrically decorated window in an older brick building. 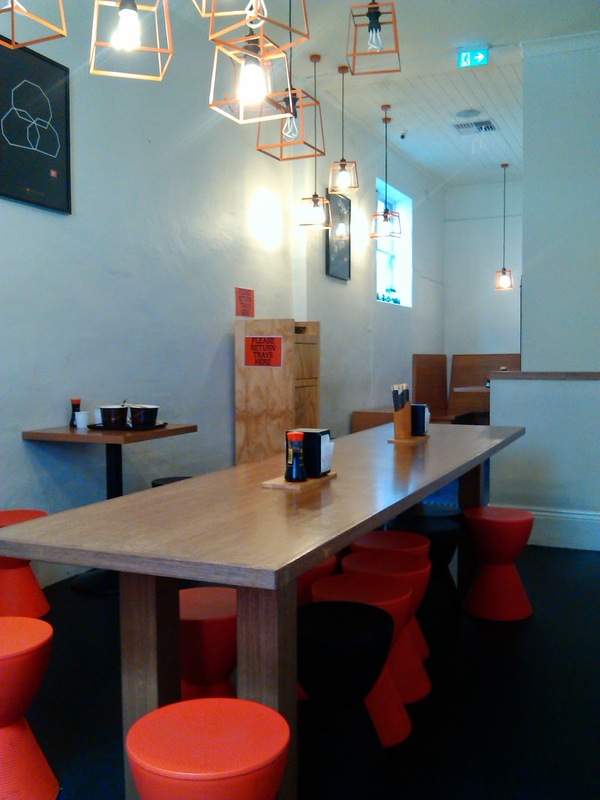 Inside on the ground floor there are a few seats at the front, with the counter and kitchen at the back. 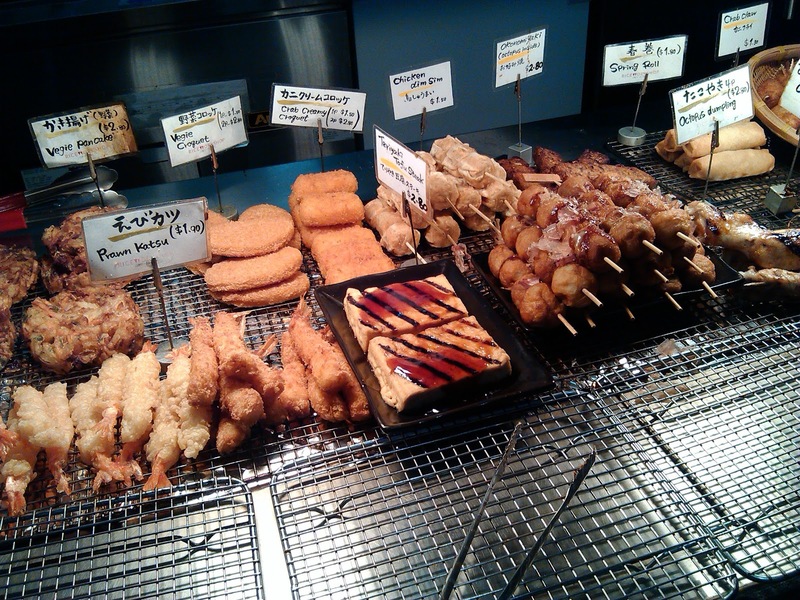 The ordering area is at the very back, with a menu behind including a few items not on the website, there were also a selection of items available in a cabinet. After ordering we waited just a few minutes before receiving our dishes and moving to the till to pay, and also select condiments and toppings to add to our dishes. 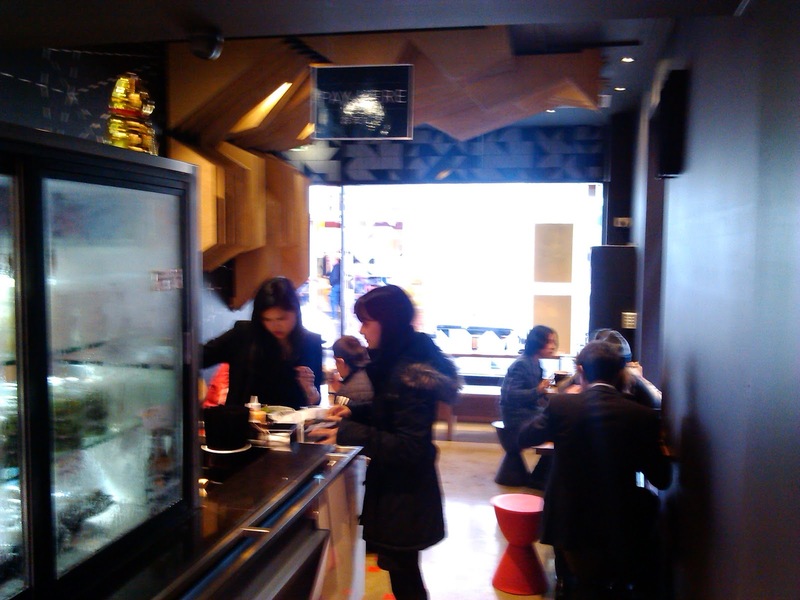 We then headed upstairs where there were plenty of seats available in white painted and sparsely decorated room. 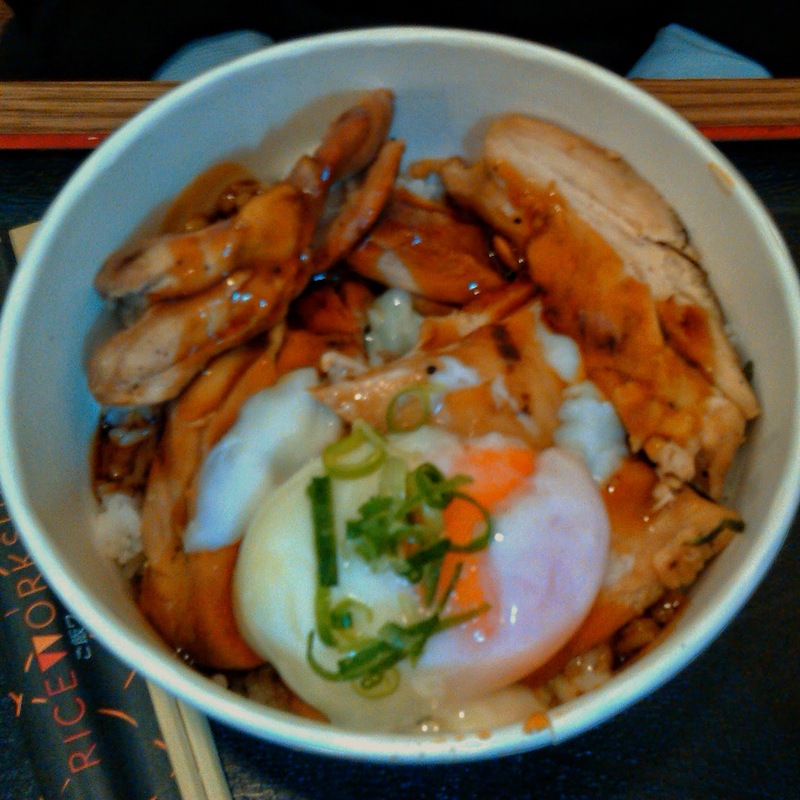 Brendan had the regular sized Ontama Teriyaki, teriyaki chicken topped with a (very) soft boild egg which he enjoyed. 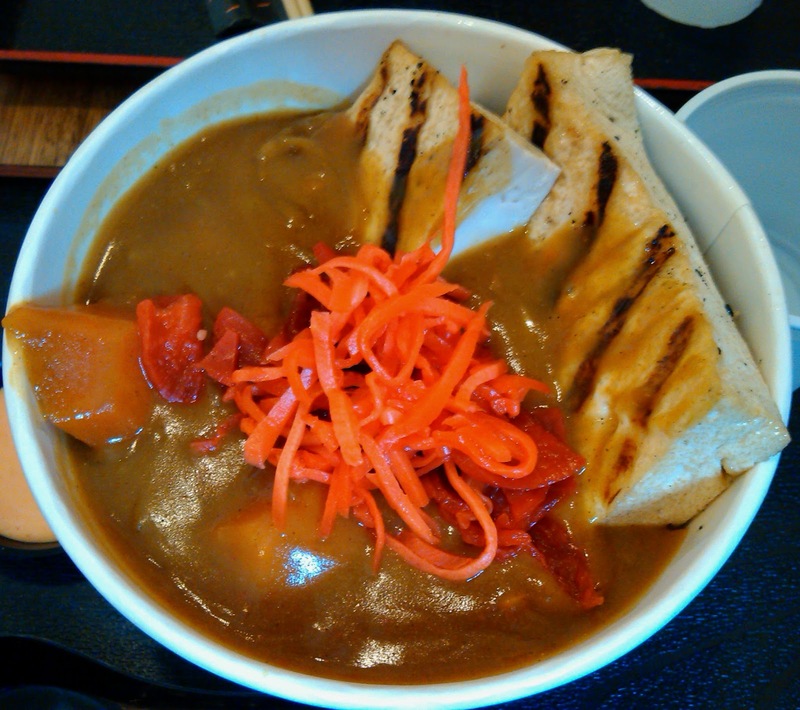 I had the large tofu curry, which features two big slabs of tofu, some sweet potato in plenty of curry sauce on top of the rice. The sauce was tasty if not super spicy.